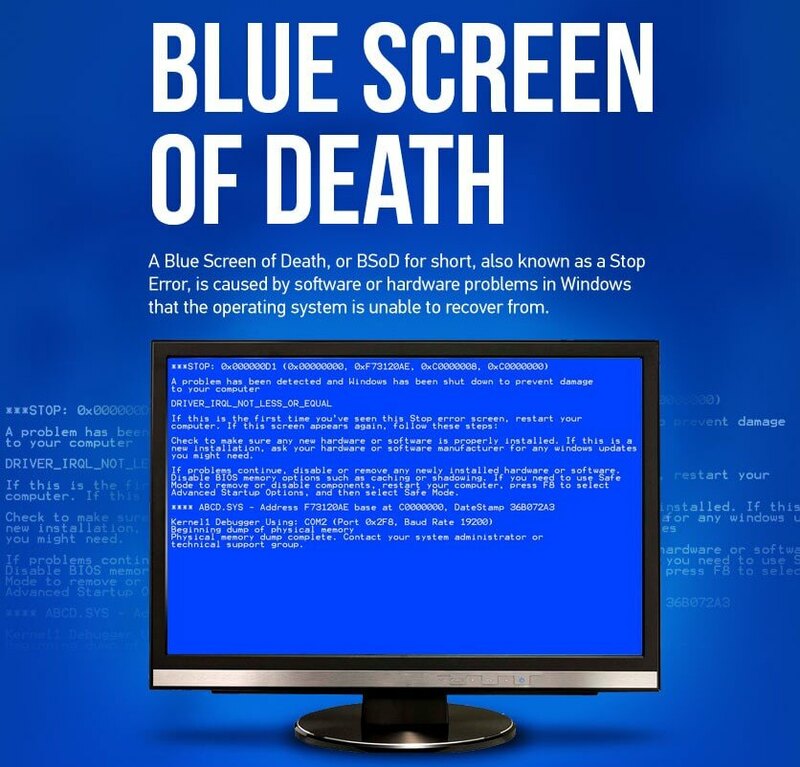 The Blue Screen of Death or BSOD is a very popular computer error that appears when Microsoft Windows encounters a critical issue, which require a reboot and result into loss of work. This unwelcome screen is the worst kind of error a computer experience. Unlike a software crash, which doesn’t break down your whole system, a BSOD is the result of low-level software crashing or you can say errors comes from hardware fault. The Blue Screen of Death is the blue, full screen error that often appears after a critical system crash. Ostensibly, the Blue Screen of Death is a well-recognized name for what is technically called a STOP message or STOP error. Aside from its official name, it is also called as Blue Screen of Doom, system crash, bug check screen, kernel error, or simply blue screen error. Blue Screens are generally occurred due to the computer’s hardware or issues with its hardware driver. It is a customary that standard software shouldn’t be able to cause blue screen errors. If an application crashes, it will displays the Blue Screen without taking the operating system out with it. This problem generally caused by hardware drive software issues with low- level of software running in the Windows kernel. A Blue Screen appears when Windows encounters a “STOP Error.” This threatening problem causes Windows to crash and restart it. Due to this problem, you can become the victim of data loss, as this error won’t allow programs to save their open data. In an ideal case, programs should continuously save their data so that a blue screen of death or other type of issues won’t result in data loss hurdle. When this serious problem occurs, Windows automatically creates a “minidump” file that incorporates information about the crash and saves it to your computer’s hard disk. Computer users can view the complete information about these minidumps, which helps them to identify the cause of the blue screen. In this blog post, we have jotted down the useful tips to remove BSOD error without contacting online computer support services. By reading above about Blue Screen Error, you are very well aware that BSODs have a variety of root causes, but the tips suggested below will help you deal with many BSOD errors. Use System Restore- In your system, if you starts appearing blue-screen, use System Restore to roll down the system software back to previous state. 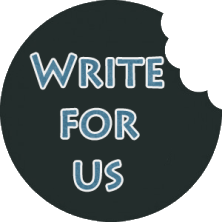 Subsequently, if this work, then you will know that it’s likely a software problem. Install updated drivers- Do you know that an incorrectly installed driver can cause system crash. So, to avoid this problem, it is essential to download the latest drivers for your computer’s hardware. Make sure that always install the driver from your computer manufacturer’s website. This trick may fix BSOD problem caused by driver problems. Scan for malware- Malware that open security hole in your system and get hooked into the Windows kernel at a low level can make your system inoperative and unstable. Fully scan your system for malware to ensure that buggy malicious software or codes isn’t causing the problem of BSOD. Boot in Windows safe mode- If your computer system is displaying blue screen every time turn it on, try rebooting into the Windows safe mode. This is because Windows loads only the essential drivers in Safe Mode. Moreover, if a driver that you have installed is causing Windows to blue screen, then it also display this error in safe mode as well. You can work in safe mode to fix this problem. Identify hardware problems- As you know that Blue Screen appears due to the faulty hardware. So, it is better to check your computer’s memory for errors. In addition to this, check the temperature of your system and ensure that it’s not overheating. Apart from these, Reinstalling Windows in another way to remove blue screen error. Without an iota of doubt, it will blow away your existing system software, but it may fix the BSOD problem by replacing old Windows with a fresh Windows OS. However, if you may not be able to fix this issue independently, you can contact computer support services for better resolution. Next post: What Does Advanced Targeting Entail for Ad Networks and Agencies?